Proud of little Israel standing up to the regional bullies. with my American TAX $$$! You must be proud ! 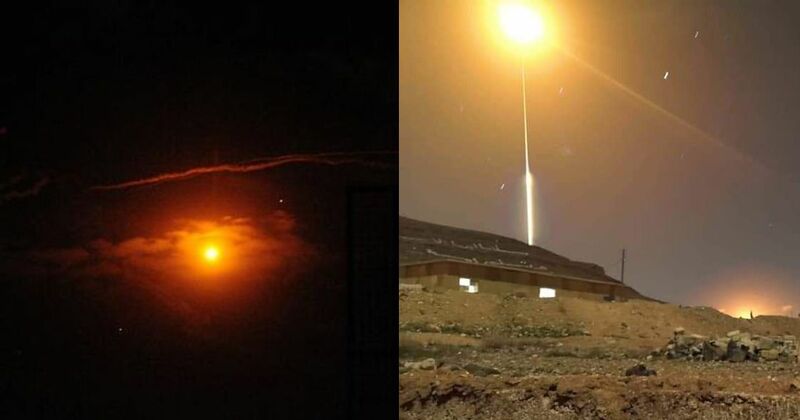 Ten million bucks a day in welfare to kill medics and launch fake missile strikes against themselves in the Stolen Golan to conceal their LOSER air force’s failure. Did you have any problem with your American Tax $$ going to Palestinian terrorists to pay for reward $ for killing Jews??? Maybe. But, the Syrians and Russians have been saying lately that they have been intercepting many, if not most, of the Israeli missiles. So, what’s the real version of events? according to a russian poll released monday, the russians absolutely do not trust the russians. why should anyone else unless they were paid to do so and talk about it. How many millions to kill 4 Syrians? To protect your head-chopping Nusra buddies! If the USA is pouring billions into Israels missile defence systems over their own technology and we know the most advanced Israeli/US systems are far from a perfect shield, how come ageing Russian missiles systems are so successful? Propaganda? Hard to sell military hardware that is shown to be ineffective. While the air and missile intercept systems are clearly not able to stop everything, they are also not ineffective. There are a lot of effects on morale, politics, OPFOR planning and reactions, further weapons systems development by both sides, etc. Opinions may differ over the value of these effects but that does not mean they do not exist. Trust me…only the United States gets the latest weapons. All Israel must be expanded, time for The Great Israel. Take the peak of Hermon in retaliation for yesterday’s flagrant provocation. The squatter army can’t fight. Remember in 2006 when they were going to march to the Litani in a few days? They got 2 steps into Lebanon before getting blown to smithereens! A fake army, reporting fake news. Meanwhile, the LOSERS can’t even stop bottle rocket attacks from within their own prison colony! perhaps a few leaked before and after satellite photos would clarify how effective the Russian systems are. We do know they didnt shoot down any Israeli planes and I’m sure not for a lack of want or trying. Israel’s continued air attacks on Syrian soil will occur one too many. When that happens I am afraid Russia will no longer hold Syria back and there will be a punishing retaliation aided and abetted by the Russians. Then what? Will the USA not back Israel for fear of igniting a major confrontation between the US and the Russians? The world does not want to see a major confrontation that could easily go nuclear because Israel continues to attack Syria without any provocation by the Syrian government. and all supported by russia the age old slav Jew haters. Russia will no longer hold Syria back ???? Are you that much of an idiot??? Russia is helping Syria. Wake the F*ck Up. The prince of magog is a rebel angel, like the prince of persia in Daniel 10, not a human. It is brought down from space, not an area of earth. The seizing of gog in the north parts of space and the throwing down of the dragon are the SAME event, Ezekiel 38:4, 39:2 = Rev 12:7-12 = Rev 8:6-12. The Hebrew to English and Greek to English translations are poor, you need to do your due diligence when studying the Scripture. The rebel angels have dominion over these areas of the world, and influence them to surround Judea prior to the final 7 consummation of judgment upon the fallen angels who get released from the aybss/prison in the near future. The final 7 year consummation of judgment will be the 71st week of Daniel 9. The 70 weeks are for the anointed, and at the end of the 70, the anointed are removed. Then the prince who is to come will make a covenant of the strong over the many. When the rebel angels get thrown down, and the fallen angels are released, they make an alliance, and this is the covenant of Daniel 9:27. It is NOT a peace covenant, it is an alliance of the strong (wicked angels) to rule over the many (humans). JP, speak not boldly about things beyond your understanding, being led to slaughter like beasts, as Peter warned. The prophets have said “Gather together ye nations, gather unto The Valley of Decision ”, is what The Most High EL proclaims through them. Yet here you are, saying its demons influencing this gathering. Do the prophets lie? Never. God rules ALL. Hence, in Job 2, altough we read Satan was the one who harmed Job,God tells Satan ”although you convinced ME to harm him without cause”. This shows that ultimately, when dealing with Gods people, Satan can do nothing without Gods express authorization. Again, the word proclaims it is God who plants and uproots nations, not fallen angels. It is imperative that we speak accurately about such things, lest we give them cause to accuse us before The Sovereign One, and thus incur punishment for our carelesness. Folks the time is now to Repent and turn to Christ the hour draws near! We love christians that support Israel but please we do not the jesus freaks to teach Jews who to pray to. We pray to the ONE G-D and not to fake g-ds. Yes, and we know that to Judah, disciples of Y’H’shua are idolatrous scum deserving of death per The Law, and as such, are itching to practice your law. The many who are now happy at the fact that little Israel stands up the the insane Goliath, how happy will they be when lets say that in Adar B, a general war unfolds with the opposition having hundreds of thousand of rockets. Even in Aza they are easily able to fire 500 in a day, and how many thousands in Lebanon, and the others? One of the few who doesn’t lie is Nasrallah, he has said various times that he has one rocket for every house in Israel ….. Perhaps there is no choice, physically, but that is not the whole story …..
WELL DONE ISRAEL BRAVO!!!!! YOU HAVE SUCCES WHERE YOU US FAIL TO ACT WITH HIS GENRALS FEARAING TO FIGHT IRANIAN FORCES . US HAVE THE RESSOURCES BUT YOU ARE THE BEST!!!!!! Like we killed Jesus and stand against Goliath, we gonna destroy Iranian Army. Anti-Semite writting as if he is a Jew for fake propaganda purpose. Jesus was an Israeli, all the way. You anti-Semite is gonna lose, Ayatollah regime will fall soon too. Very little news of this in Lazy Alphabet Media. More important things to chatter about. This is the beginning of the destruction of Iran and the humiliation of Putin and US forces are standing ready to eliminate the Iranian mainland if needs be,Come and get it. Brazil can influence Moscow on Israel’s behalf. Since the 2 Giant nations wants proximity. God Has and Will Always Bless Israel. Isaiah 17, The complete destruction of Damascus will happen when God ordains it.